I remember the moment as if it were yesterday. 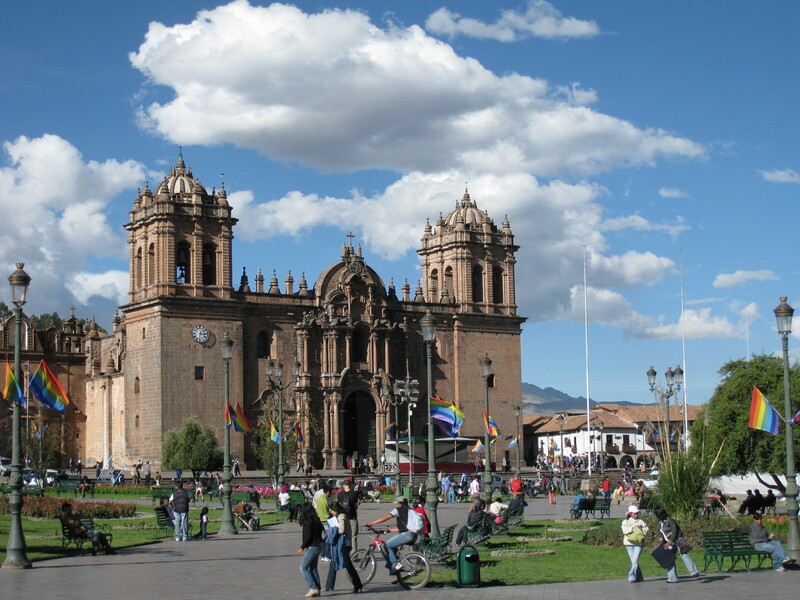 We were walking through the main square of Cusco, Peru, towards the majestic Cathedral glistening in the afternoon sun, when Danielle said to me, “It’s all perfect Jeannie. 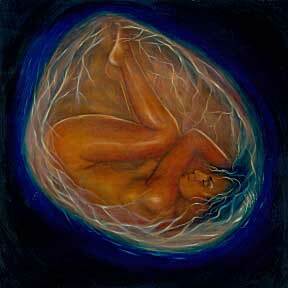 You are simply in the gestation period, things are incubating. You are getting ready to have a rebirth.” Who is Danielle and to what on earth was she referring? 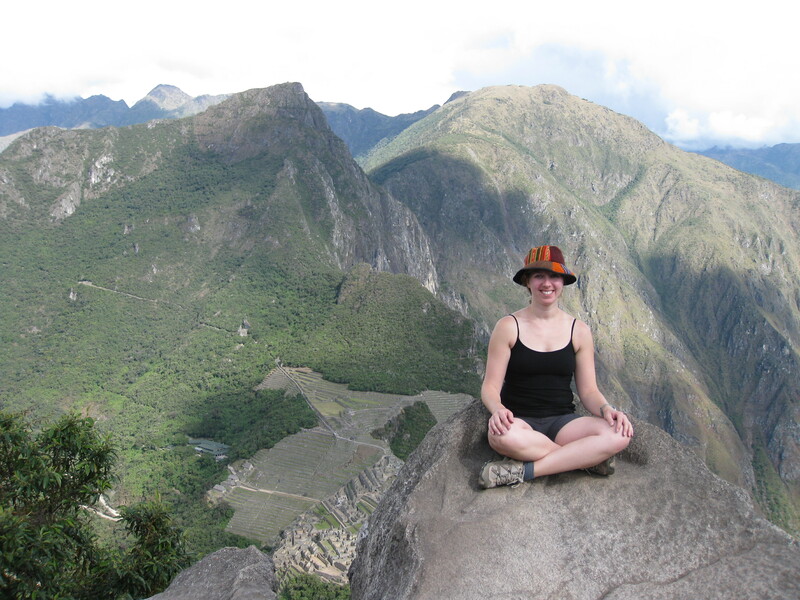 Danielle Hougard was the Anusara Yoga teacher who was leading me on my first ever yoga retreat. But she was not just any yoga teacher. Danielle is one of those special “Earth Mother” types, the type of woman who exudes love and motherly instincts from every cell of her body, the type of woman who is truly in touch with her intuition, the Spirit of Earth and Sky, and the energies of every living creature around her. This is a wise women who just seems to “know” things, and somehow when she says them you just know that you can trust her. Danielle was responding to my story of how my life had fallen into ruins: I had moved across country to fight for love, only to find myself rejected and abandoned. If that wasn’t enough I had arrived at the beginning of the recession and was thrust headfirst into months of unemployment. Running out of money and desperate for work, I was compelled to take a minimum wage job at a retail store. It was depressing enough that I had gone from a successful, high-paying management career in Washington, DC, to making minimum wage, but in the depths of my own heartache, I was now forced to endure hundreds of happy couples strolling about arm in arm as the irritating Christmas carols pumped out incessantly through the loudspeakers of the shopping mall. But worst of all, every day I lived in fear that the man who had broken my heart would stroll in with HIS new girlfriend on his arm. This was my rock bottom. If there is a Hell on Earth, this was definitely it. Fortunately through a stroke of “luck,” I was finally able to find a “real” job. Things were looking up, I could finally leave my minimum wage job and get back to building my career….Or so I thought. Sadly my luck would not last and I was laid off several months later, and found myself yet again in a period of protracted unemployment. So here I was in Peru, six months after having been laid off and I hadn’t had a single bite to the hundreds of resumes sent. My life was completely stagnating. I was having no luck on the job front, no luck on the love front, every cell in my body ached and mourned for the loss of my best friend, and I was depressed to the point where I did not want to get out of bed in the morning. The only thing I could feel in my life was a palpable feeling of stagnation. I was completely stuck. Danielle’s response to this story was a friendly smile and a reassuring nod, telling me that everything I had just described was actually “PERFECT,” that although on the surface it felt like things were stagnating, that actually behind the scenes there were forces at work, and that I was simply in the gestation period…that I was simply getting ready for a powerful rebirth. Though to my rational (and depressed!) mind this sounded a little bit unusual and way too good to believe, the certainty with which she spoke these words gave me a momentary peace. I prayed that she was right. By now you may be wondering what I was doing in Peru after the story I just described and given my obvious state of unemployment. Well, call me a risk-taker, but when life gets really dark and gloomy, that’s when something deep inside of me says “SCREW IT” and propels me to go do something incredible and adventurous, to try to drag myself reluctantly out of the muck. All of my life I had dreamed of going to Peru. When I was in high school Spanish class, my teacher would show us pictures of Machu Picchu and I just knew that I had to go there one day. So when I found myself in the midst of my “dark night of the soul,” and completely stuck, I knew I had to do something to try to unstick myself. Several days after walking through that square in Cusco, we found ourselves on the very tip-top of Huayna Picchu Mountain, high above the breath-taking, mind-boggling and awe-inspiring creation that was Machu Picchu. This masterpiece defied human logic and comprehension. Its ruins were perfectly intact, each of its thousands of individual stones stacked so flawlessly and at such exquisitely engineered angles that they would remain intact and stable for hundreds of years of enduring the elements. There are honestly not any words I could ever use to adequately express what it felt like to be standing up there at 8,920 ft, literally on top of the world. As I looked around us, I was overcome with goosebumps at the beauty of the jagged, majestic mountains that shot dramatically up into the heavens, hugged and nurtured by the blankets of fog. If there was a God, he/she was certainly here. I felt the great Spirit of the Earth in the wind that whispered into my ears, in the Sun that warmed my back, and in the solid stone beneath my feet, stones that had held the weight and cradled the souls of hundreds of thousands of humans across the centuries. I was awed to my core. Standing up here at this great height, surrounded by the magic and mystery of Mother Earth, I knew I was being supported. At the end of our 10-day journey, completely moved and humbled by the Grace, beauty and humility of the Peruvian people, we returned home to the States, and I back to the chains of stagnation in Los Angeles. The minute I touched down in Los Angeles, I knew I had to leave. I am a stubborn person. And because I loved Los Angeles and felt a profound spiritual connection with her, I had previously been determined to stay there, despite the fact that the signs seemed to point elsewhere. But now the Universe had given me a breadcrumb to follow. You see, this yoga group, led by this sweet soul Danielle, was actually from San Francisco, and I only found them through an “accidental” twist of fate through a web search. Nobody on the trip could figure out why I was staying in Los Angeles after the horror I had described. They encouraged me to move to San Francisco. Considering that my life was completely stagnant and that I had already lost everything of importance that I could possibly stand to lose, I decided it was time to break free of my prison. This is when Grace took over. Only five days after moving to San Francisco, for what was intended to be a one-month temporary sublet to test out the waters, a job offer had fallen unexpectedly into my lap. Over the weeks that followed, I frantically looked for a permanent apartment in San Francisco, searched desperately for someone to take over my lease in Los Angeles, packed up my entire one-bedroom apartment in 24 hours and drove the entire load, by myself, the six-hour drive from Los Angeles to San Francisco, and then started my new job the next day. Just like that, my life had shifted dramatically. Danielle’s words about an impending “rebirth” were ringing in my ears. But what I didn’t know was that this was just barely the beginning. I was only in the earliest contractions and still had over a year of “labor” ahead of me. 17 months later, after months and months of undue stress and anxiety in my corporate job, I was let go. Bowled over by the unexpected blow, I picked myself back up and threw myself immediately back into the job search. But the minute I did so, another breadcrumb was laid down for me. I had written my very first blog post, about my journey of healing through yoga, and it had felt good. But not only did it feel good, it got a good response. Somehow, as if in a daze, I suddenly found myself with my own blog and I began writing. Never having had any interest in being a writer, it was as if a higher force had suddenly taken over and was simply pulling my puppet-strings and moving me along a new and unexpected path. But this path felt right.